I was hit with a surplus of blackberries lately and thus I was faced with the challenge to use them or freeze them and ultimately, I decided to bake with them. I love blackberries because they always remind me of a memory when I was young and my sister and I went blackberry picking in the forest during a camping trip. I still remember squishing them in between my index finger and thumb just to see the stain of purple on my skin and consequently on my shirt. I can only imagine my mother’s look of disapproval when we emerged from the brush with a load of blackberries nestled in our shirts-made-buckets littered with purple blemishes. 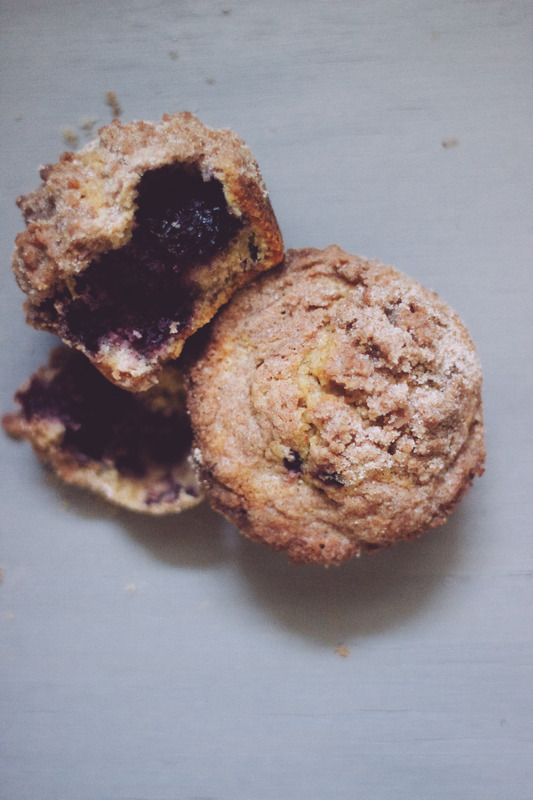 Faced with the ever-daunting question of “what should I make” I searched my archives and I don’t think I have made very many muffin variations so I opted to make a blackberry muffin with a crunchy crumb topping. Who isn’t a sucker for a soft and moist cake with a sugar-laden crunch-tastic topping? The census of the collective workplace opinions were very positive and I came home with empty containers at the end of the day so I feel confident in saying they were well-liked. 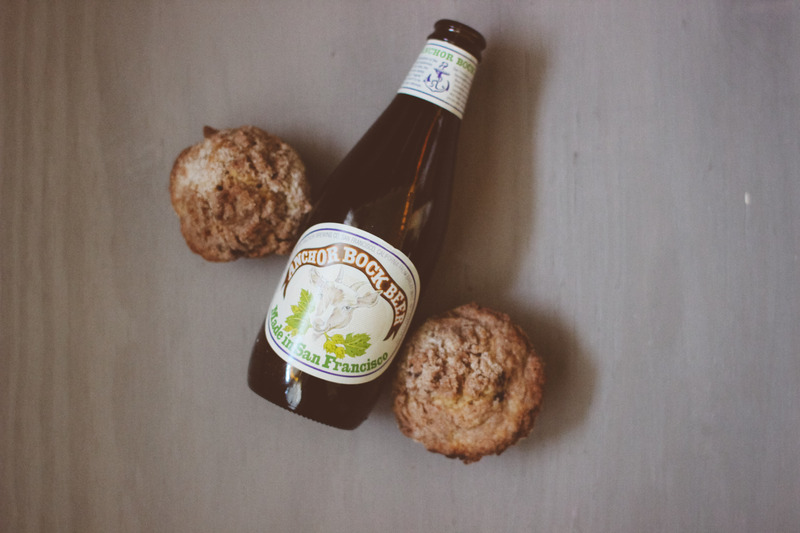 I choose to bake with the Anchor Steam Anchor Bock Beer for it’s sweet, malty notes that will pair well with the sugar and tart berries. 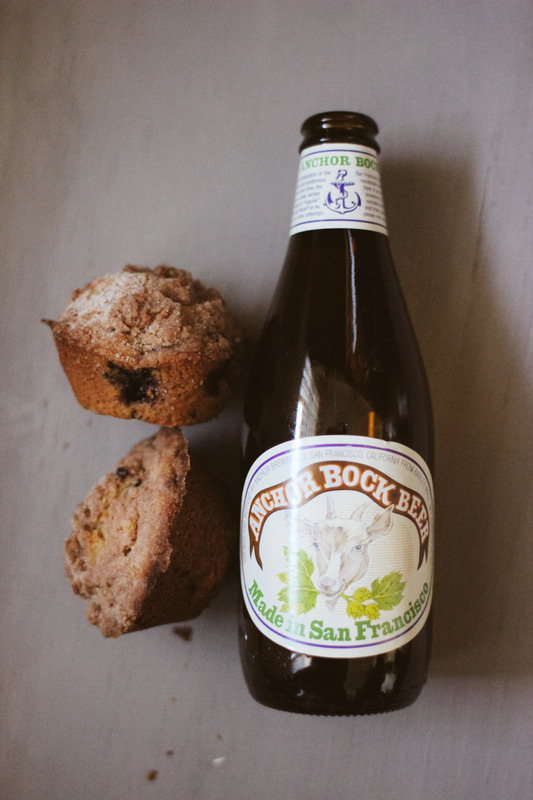 1 cup blackberries or more if you are feelin’ saucy…I loaded my muffins as much as possible because I am reckless. 1. Heat your oven to 400 degrees F. Spray your cupcake or muffin tin with non-stick spray and set aside. 2. Whisk together your flour, salt, sugar and baking powder in a bowl and set aside. Whisk together your egg, oil, milk and beer in a separate bowl then combine with the dry ingredients. If you just whisk them into oblivion you will most likely get a tough muffin, and nobody likes a chewy muffin. I recommend folding your wet and dry ingredients so you can incorporate them together gently. Once combined, fold in your blackberries. 3. Fill the muffin wells almost to the top and then combine the crumb topping ingredients in a separate bowl. The crumb topping should be sandy so the use of a fork or pastry cutter might assist with crumbling the butter and incorporating the dry ingredients. You can also opt to use a food processor. 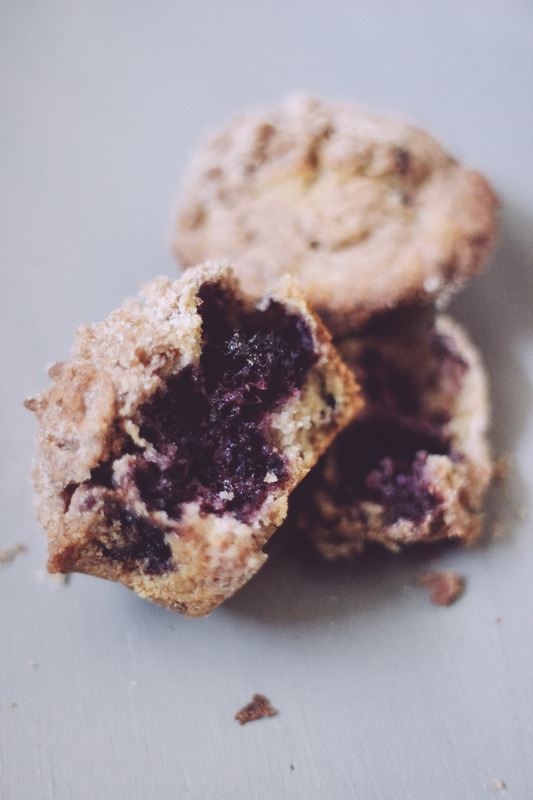 Spoon the crumb topping over the blackberry muffin mix and bake for 20-25 minutes, rotating once during cook time. 4. Cook until edges are browned and top is slightly brown. Allow to cool for 10-15 minutes on a wire rack and then you can either serve warm or allow to cool completely and then store in an airtight container. Jess’, these look so full of YUM!! 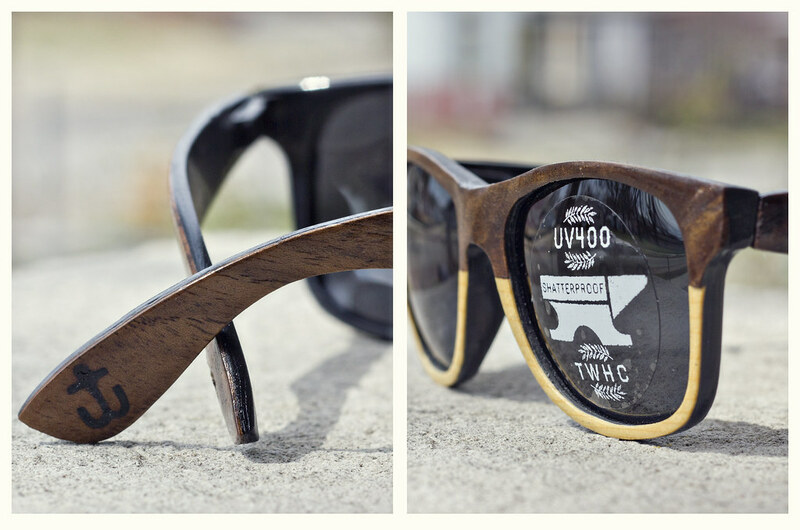 I gotta make some!